Breast cancer is no longer a disease for the aged, hard-living person; it is affecting more and more otherwise healthy young women every day. Early detection is definitely key, as is a complete change of lifestyle, if one wants to prevent reoccurrence of breast cancer. I really wish I had known then what I know now about the ways I could have helped my body not only get rid of cancer naturally, but also prevent it from ever occurring in the first place. The 19th of December is a significant day in my life. I met my husband-to-be on 19 December 1999. Exactly one year later, on 19 December 2000, he proposed to me in the Hunter Valley. We were married on 19 December 2001 on Sydney Harbour. On 19 December 2002, I was diagnosed with breast cancer. So you see, 19 December represents both the very best and the very worst date in my life! I never thought that I could or would be diagnosed with cancer. I ate right, worked out 30 minutes a day, and had given up the occasional cigarette three years earlier. Cancer was something that happened to other people such as my father, who was an alcoholic and smoked three packs of cigarettes a day. At the age of 33 I was happy, healthy and excited to be pregnant with my first child. There was little stress in my life at the time, aside from having a particularly busy season with my events company. Ailiya’s (I-leeya) birth was very difficult, entailing a 28½-hour labour, two epidurals and finally an emergency C-section. One day shortly after her birth, I was breastfeeding and noticed a small lump in my left breast. A few weeks earlier I had mastitis in my right breast, so I thought it was the same thing. However, just to be safe, I went to visit my doctor. The results were suspicious after the initial examination and an ultrasound, so a needle biopsy was conducted. I nearly had a car accident. I immediately called my husband, who was about three cars behind me, and we pulled over. Needless to say, I was incoherent with hysteria. As neither my husband nor I have any family in Australia, I got on the phone and called my friends, as I needed all the support I could get. Luckily, one of my girlfriends got in touch with a doctor friend of hers and managed to get me an appointment with a surgeon for that afternoon. He looked at my lab results, did an examination and booked me in for surgery at the Mater hospital for 23 December. My breastfeeding was considered a complication to the surgery, so I had three days to let my milk dry up. In addition, I had saline implants that the doctor said he may need to remove during the surgery but wouldn’t know until he got in there. My mother cancelled all her plans and got the next flight to Sydney from Texas. She was there when I came out of surgery. The first thing I did was check to see if I still had a breast; I did, and I was so relieved. They had removed the 2.2 cm of cancer and surrounding tissue, as well as all the lymph nodes under my arm. Although the surgery was believed to be totally successful in removing all the cancer, and my lymph nodes were clear, the cancer was of a very high grade. I was told I would need chemotherapy and radiation to try to prevent any further tumours and hopefully prolong my life expectancy beyond the very possible five-year mark. The type of chemo I needed was proven 100% positive that I would lose all of my hair. I just couldn’t believe it. For 16 years I had been an international model, and was still doing odd jobs. The other possible side effects (of which I had all) would be mouth ulcers, nausea, vomiting and most likely, early menopause. I tried everything to avoid the chemo, but I was advised there was just no other choice. At the same time, it was discovered that I am HER2 positive, which means that my particular type of cancer is genetic and that I most probably inherited the gene from my late father, whom I had barely known. There was a new drug, Herceptin, which was being trialled in Australia for this particular type of genetic cancer, but it cost more than $50,000 a year to take. Unfortunately, I was ineligible for the trial because my body wasn’t able to handle one of the chemo drugs that was necessary to have to be part of the trial. I underwent three sessions of the chemotherapy, but my doctor was not happy with the side effects I was experiencing: “0” neutrophils resulting in the need for me to be hospitalised and quarantined for several days, unable to see my new baby or husband for fear I might get ‘contaminated’ by their germs; inability to sleep due to anxiety and fear of never waking up; and my impossibility to keep any weight on whatsoever. As a result, I had to suspend the remaining three sessions of chemo, which we hoped would be enough. At least now I would qualify for Herceptin in the unfortunate instance I ever have a metastases, as the Australian Government has permitted access to the drug to those who do. In American drug trials, Herceptin has shown to be 90-95% effective in healing those that are HER2 positive, but the costs are double those in Australia and not covered by Medicare or health insurances. Since my husband had lost his job shortly after Ailiya was born, he was home to look after the baby and me. He had me on a strict non-dairy, all-organic diet and made me fresh spinach, carrot, celery, beetroot and apple juices everyday. I also took high levels of prescribed vitamins A, D, E and C and antioxidants from an American doctor. There was much debate at the time as to whether it was counter-effective to chemo to take high doses of vitamins as well as Chinese herbs. But my oncologist and I found a happy medium – as long as I didn’t take them within the first three days of each treatment, I could take them for the rest of the three-week cycle. 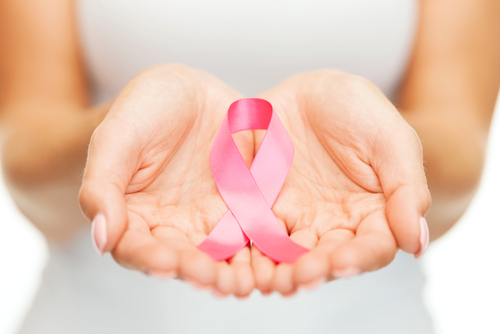 Incredibly, breast cancer cured my post-natal depression. I went from feeling overwhelmed from trying to run my international event staffing company with 500 sub-contractors across Australia and New Zealand; model and being a new mom, to just trying to live! To cope with the mental and emotional turmoil one goes through when being diagnosed with a potentially life-threatening illness, I sought the aid of a meditation therapist. She was a physician and had a degree in psychology, but also offered meditation techniques to help people recover from illnesses. She saved my sanity. I also became part of the Young Women With Breast Cancer group, formed for women between 25-40 years of age with similar prognoses. It really helped to know that I was not alone. The support offered by the Australian Cancer Council was amazing! Straight after my surgery they had someone contact me to inform me about the group, sent me all the information currently available for people with cancer and put me in contact with a mentor – someone who was in remission from a similar type of cancer to my own. Staying positive when I didn’t even recognise the person staring back at me in the mirror was a daily struggle, and it was great to get advice from someone who had survived everything I was going through. I am still in contact today with the remaining five women who went through the ‘BC’ experience when I did. We are all very different and from different backgrounds, but we all share the victory of surviving BC! After I completed the orthodox treatments, I went through a series of cleanses. I did a liver detoxification, chellation therapy (removal of heavy metal toxicity) and deep tissue massage over three months. I began acupuncture and went on a two-year Chinese herbal treatment to build my immune system back up after the radiation and chemotherapy treatments. I saw a chiropractor for two years who worked on my skeletal system and performed N.E.T and Neurolink reprogramming techniques to help me release stored pain. I also started two-hour sessions every three months with an energy healer, who assisted me with painful memory releases and helped build up my energy levels to protect me from any further illness. Every three to six months, I had LBA and CRT tests (live blood analyses) to chart how my internal organs were recovering. I still do these tests once a year, 13 years on. I had tumour marker tests done every six months for the first three years to make sure there were no signs of any further cancer activity in my system. Statistics show that women who have more than five mammograms under the age of 40 are at a far greater risk of getting cancer in their breasts from the exposure to radiation. I also started thermal imaging instead of mammograms, as statistics show that women who have more than five mammograms under the age of 40 are at a far greater risk of getting cancer in their breasts from the exposure to radiation. As I have already undergone high doses of radiation to my breasts, as well as two other mammograms, I didn’t want to take any further chances. If first we take the time to listen to our bodies and follow through with what is available to us, many of our questions will be answered and illnesses avoided. And of course, we need to take necessary preventative actions, such as eat more raw foods and less meat and dairy, cut out processed and GMO (genetically modified) food, exercise and meditate. If more people were educated about the endless possibilities for their own healing, and follow through with these simple choices, there would be far fewer illnesses and more happy, healthy people in our world. Breast cancer has been both the very worst and best thing that has happened to me. It was a horrible thing to go through at the time, but it has completely changed my life. Because of it, I know now that my purpose in life is to help heal and educate others through sharing my knowledge and my remarkable experiences of healing myself.